In an article published on Monday in Economic Daily Zhu acknowledged that downward pressure on the global economy and fluctuating capital flows are negatively affecting the bloc of Brazil, Russia, India, China and South Africa. However, these nations will not lose their appeal, Zhu pointed out, citing a string of factors including economic scale and cooperation within the bloc. “Emerging economies, especially BRICS, represent the upward power on the global stage,” he wrote. As a consumer and supplier, the bloc will continue its positive role and make bigger contribution to global growth, Zhu said. In addition, better economic, financial, cultural and political cooperation will promote the integrated development of the countries, he added. The bloc’s largest initiatives to date — a $100 billion development bank and a $100 billion currency pool- are now operational. “Let’s go hand-in-hand to build a great BRICS partnership,” Chinese President Xi Jinping said in Russia last summer. 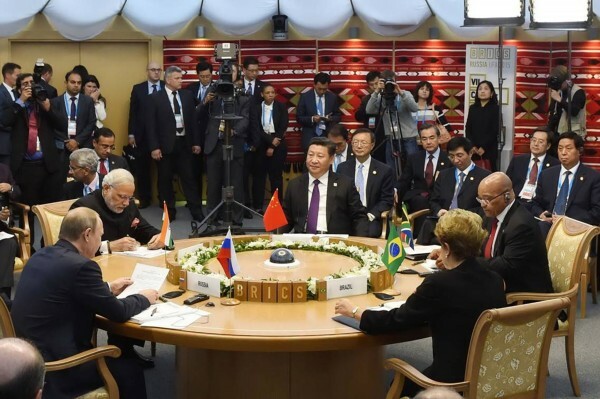 The five leaders will meet in New Delhi during the 8th BRICS Summit later this summer.